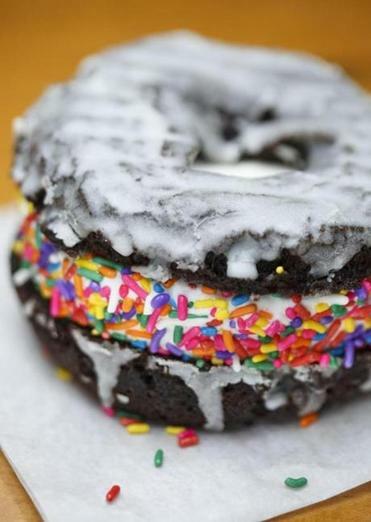 An ice cream sandwich doughnut at Blackbird Doughnuts. Pity the stew. It is delicious, it is deeply flavored, and it improves with age. It is also mushy, uniform, and monochromatic. In short: not photogenic. Stew, my friends, is toast. Toast, on the other hand, is doing just fine, particularly when topped with avocado. Also fine: ice cream cones held in front of brick walls, pizza, anything with sparkles, anything that is rainbow, anything that is the kind of deep jet black that only comes from squid ink or charcoal or sorcery or poison, anything that is a baked good with a hole in the middle, elaborately topped acai bowls (a.k.a. smoothies, but in a different vessel), insanely topped milkshakes, anything that is an icon of Americana, anything that contains lobster if in New England. Instagram has stolen our taste buds, and I want them back. In the world of food, there may currently be no greater influence than the photo-sharing application. Launched in 2010, it now has more than 700 million monthly users. Most of them, at some point, post images of what they are eating and where they are eating it. And some of them have a whole lot of followers — for instance, the Boston Foodies account, run by Tiffany Lopinsky, at the moment has 105,000. This would make her, in Instagram parlance, an “influencer.” It’s no wonder restaurants and their PR firms court these individuals. At the end of last year, the Globe’s circulation for digital and print was about 223,000 on Wednesdays, when the Food section comes out. Excuse me while I fashion today’s paper into an attractive wrapping for fish I’ll photograph and post later, filtered and cleverly hashtagged. Here are some tips from Globe photographers on how to make that caprese salad or berry smoothie worthy for all to see — and salivate over. The reach of real life is just so comparably small. Chef Chris Coombs will soon open a second branch of his South End steakhouse, Boston Chops, in Downtown Crossing, in the former Mantra space. It will have an Instagrammers’ table with its own special lighting system, for food photography. Designer Stephen Martyak of studioTYAK is creating different layers of lighting for different functions within the dining room. And there will be quirky, meat-themed tableaux for customers to pose in front of. But what makes a good picture does not always taste good, and what tastes good does not always make a good picture. I thought chefs would be as cynical about the Instagram trajectory as I am. I was wrong. This is what everyone I talked to had to say: They genuinely love Instagram. It is an invaluable marketing tool. It is an incredible way to connect with customers, other chefs, and potential employees. When people appreciate their food enough to photograph it, they feel honored. They don’t feel pressured to create dishes specifically geared toward Instagram, although they all know people who do, and that food is not always the better for it. 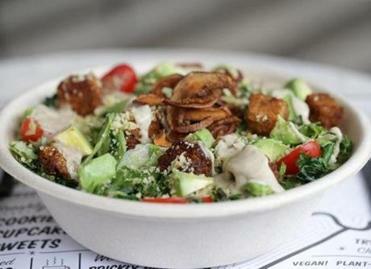 No one will name names, because Boston chefs are gallant like that. It was here to look pretty. What we want from food is now what the world wants from little girls. In both cases, it is reductive and simplistic and it fails to ask enough. Of course, little girls have souls to be crushed, whereas food is at best soul’s expression. But the emphasis on appearance in our culture — in any arena, in every arena — never serves real little girls (or anyone else) particularly well. I am not immune to Instagram’s power and pleasure. All those images of vegetable fresh rolls, vibrant slices of watermelon radishes peeping through the translucent rice paper, took my breath away — and then I made some. But going to dinner with a group of food writers has turned into an exercise in good lighting and delayed gratification, as everyone moves around plates and finds different angles and lets the food grow cold. This is not why we got into this business. But it is now part of it. It is part of the entire eating experience — another layer into which chefs and restaurateurs need to put thought. And money. Which means, in a business where the right level of investment can be the difference between success and failure, just another card in the deck stacked against those with fewer resources who want to get into the game. Not stew, good old stew. Don’t look at it, if you don’t want to, but tomorrow it will be better than ever.